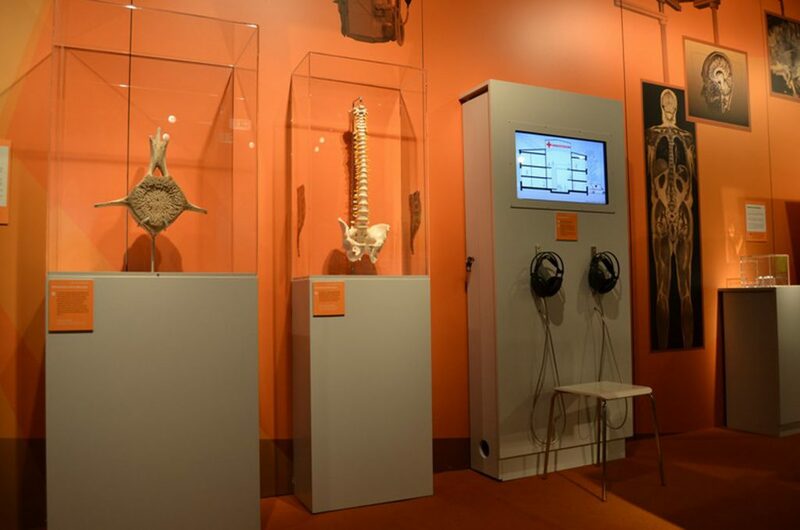 The exhibit to the topic intervertebral disk deals with the widespread disease dorsal pain. 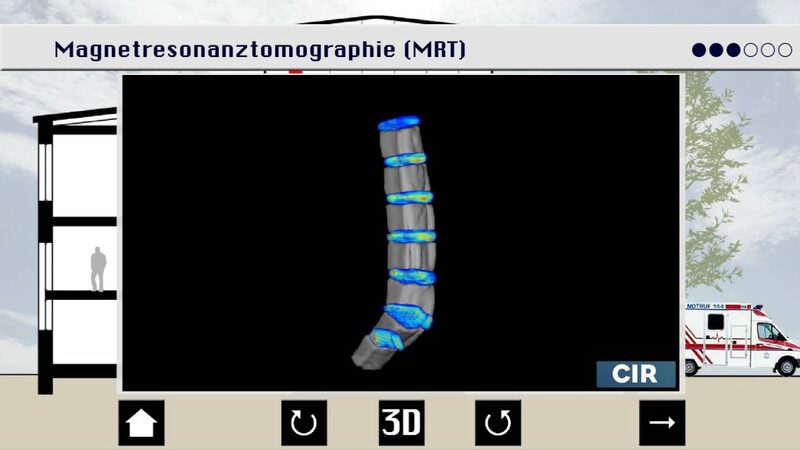 An innovative, multimedia information system shows the reasons for problems with intervertebral disks and how they can be identified and treated. 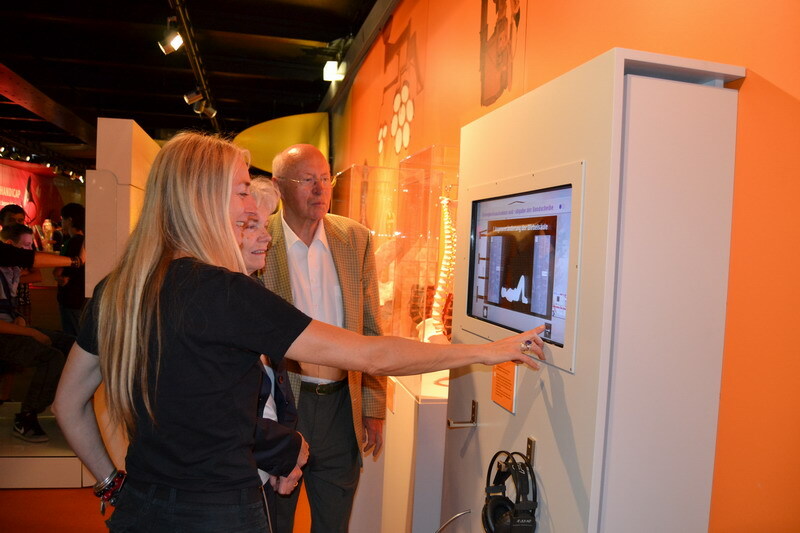 The MS Science visits with an exhibition, which also includes two exhibits developed by FH JOANNEUM, Institute of Information Management in cooperation with the studio Barbara Aussenegg, 30 cities along the German-Austrian waterway with the motto “New Ways in Medicine”. The exhibit with the topic intervertebral disk was developed on behalf of the studio Barbara Aussenegg. The scientific input was provided by university professor Dr. Siegfried Trattnig of the center of excellence “Hochfeld-Magnetresonanz” (MR) at the Medical University of Vienna. By touching the screen animations and video clips with the subject intervertebral disk are shown. A 3D representation of a spine with intervertebral disks shows how intervertebral disks work and the consequences of right and wrong pressures of the back. Moreover, different medical imaging techniques, like X-ray, computer tomography and magnetic resonance tomography (MRT) are shown. With MRT, slipped disks can be identified early, so that they can be prevented.